Glee – Season 3, Episode 20 – It is opposite day for the New Directions after Tina (Jenna Ushkowitz) bumps her head. Her injury leads everything to be completely switched up, but the gang still must rehearse for the Nationals. 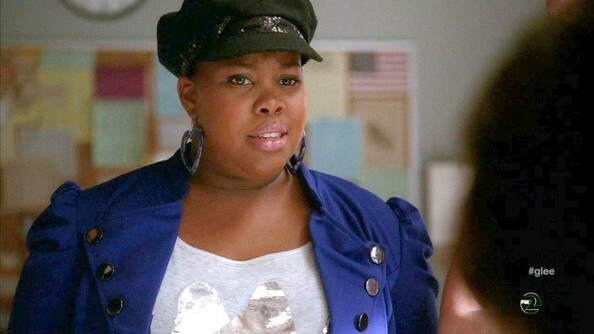 Amber Riley never shies away from the accessories on 'Glee.' Instead of her usual statement necklaces, she added character to her look with a sequined newsboy cap.